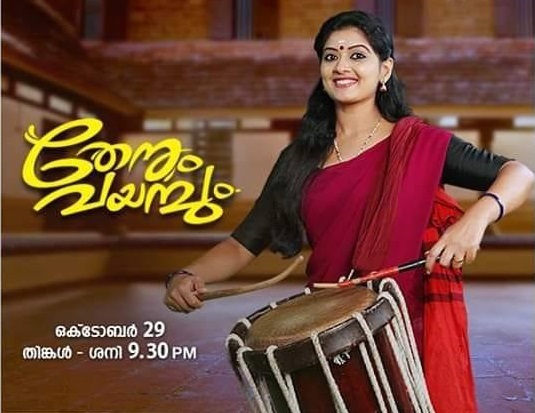 Thenum Vayambum is a new television serial launching on 29th October 2018 on Malayalam Entertainment Channel Surya TV. The episodes will be aired every Monday to Saturday at 9:30 PM. The mega Serial “Thenum Vayambum” is directed by AMNazeer and Produced by Dr.Lakshmi Anu Ananthan. The Script &Dialogue is Biju Raveendran based on a unique story written by AM Nazeer. Ambadi production is the banner that produces the film. The crew of the serial claim that this is the first serial that uses Dolby system for sound in the history of Malayalam Television. Vivek Gopan and TV actress Sreelaya are playing role of hero and heroine in this serial. This is Vivek Gopan' next project after the super hit Asianet serial Parasparam. The role of heroine in this serial is played by Sreelaya , known for Bhagyadevatha and Moonumani . 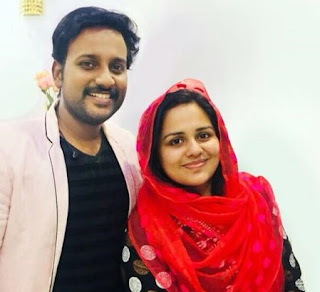 She is returning to min-screen after her marriage with Nevin Chacko in 2017. Her sister Shruthi Leksmi is also part of this serial. Other popular serial actors and actress in this serial include Riza bava, Thara Kalyan, Anila Sreekumar ,Sharran Puthumana.Jishin Mohan, KM Abdul Majeed etc. in addition to many new comers like Jaseela Parveen . The full details of story, cast and crew will be added soon.